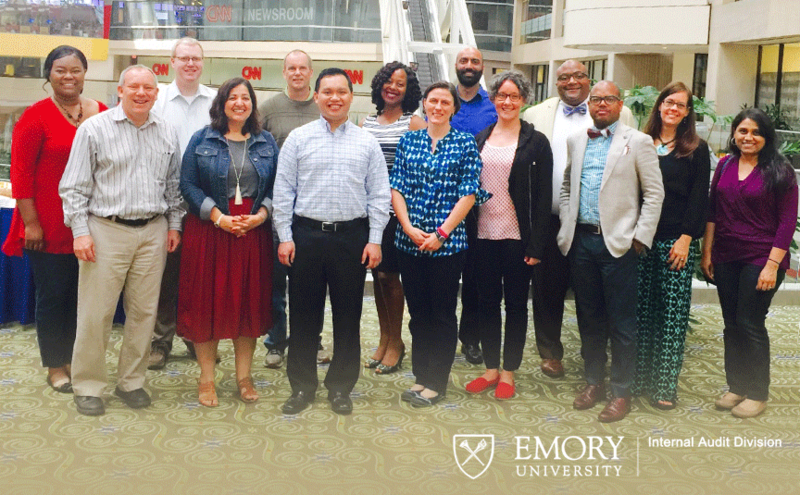 The Emory Internal Audit Division attended "Addition Through Subtraction: Creating a Culturally Humble Workplace" Workshop, led by Mr. James Roland, Sr. Director, Center for Civic and Community Engagement and Mr. Edward Lee, Executive Director Community Engagement, Emory Campus Life, at CNN Center. IAD Team members and the presenters engaged in a highly interactive presentation that demonstrated the value of open, consistent and deliberative communication in negotiating our cultural differences. It introduced the IAD Team Members to debate, deliberation and the ability to make more culturally humble decisions. 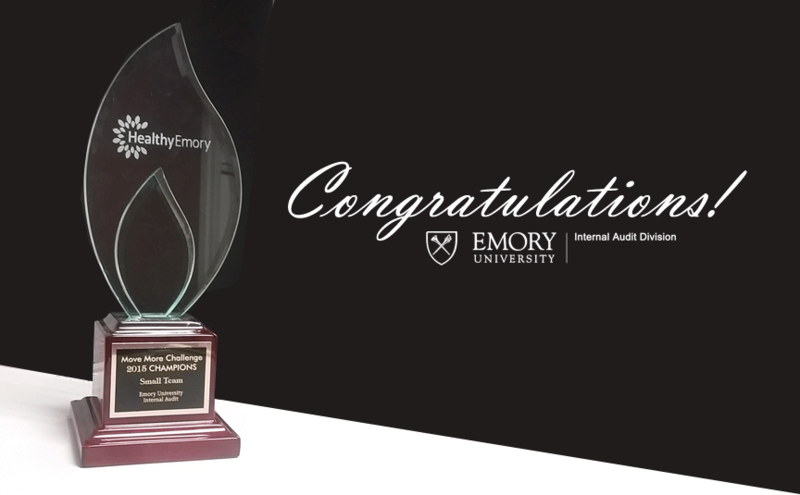 Congratulations to the Internal Audit Division (IAD) on winning 1st place among small sized teams in Emory’s Move More Challenge 2015! 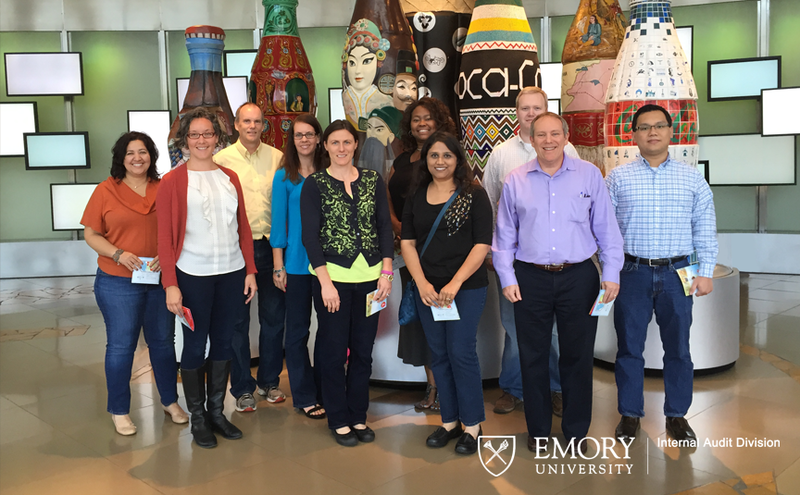 The Emory Internal Audit Division attended StrengthsQuest Workshop, led by Ms. Jill Camper, Associate Director for Student Life (Emory University School of Law), at the World of Coke. IAD Team members were able to understand their top 5 signature themes, how they relate to one another and recognize their strengths and use in multiple communities in which they find themselves (work, home, community, etc.). May 5 – 9 was national Compliance Week. At Emory, the Administrative Compliance and Research Compliance Offices celebrated by offering several compliance and ethics-related activities to the Emory community. The activities included a compliance and ethics survey, an ethics essay contest, promotional tables at several locations across campus, and the introduction of the new “Ethically Engaged @ Emory” training program (now available online and in person). The compliance and ethics survey will remain open until June 2. If you are interested in learning how to schedule a live “Ethically Engaged @ Emory” training session, please contact Sarah Putney at sputney@emory.edu or Scotty Jenkins at bsjenki@emory.edu. 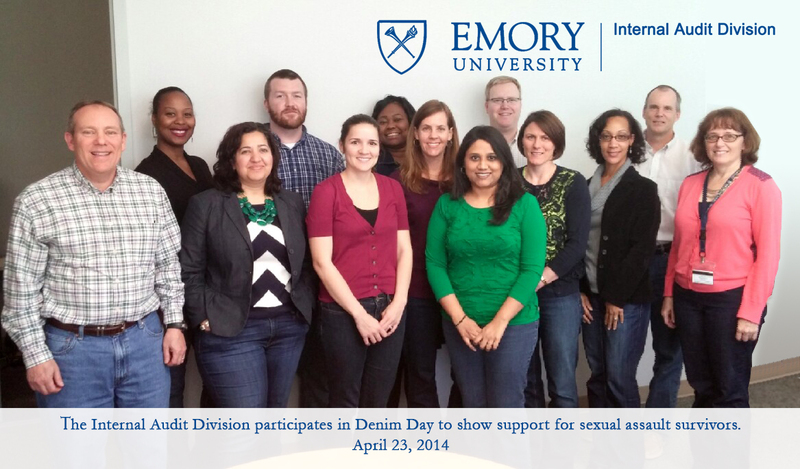 April is Sexual Assault Awareness Month, and the Respect Program in the Office of Health Promotion in the Division of Campus Life has been commemorating with a month of events culminating in Denim Day on April 23, 2014. 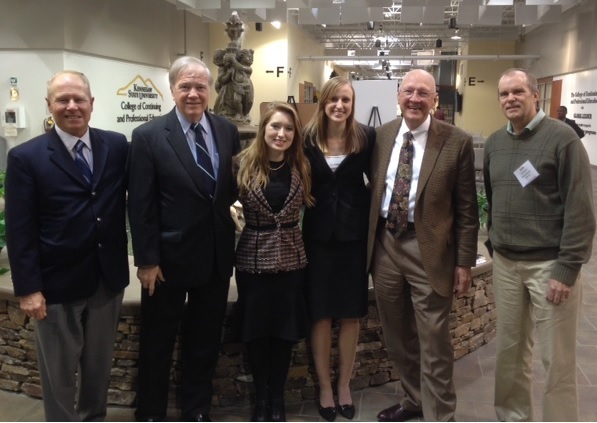 The Internal Audit Division Participated to show its support for sexual assault survivors. The Program for Scholarly Integrity (PSI) of the Laney Graduate School is holding an “Ethics of International Research and Scholarship” case design and analysis competition. Participants will design a case scenario that exemplifies the key challenges to scholarly integrity and international research, provide an ethical analysis of the case, and describe how the case and analysis can be used in a training workshop or class. The competition is open to all students enrolled in a doctoral program at the Laney Graduate School, and the deadline for submissions is April 1, 2014. The first place submission will be awarded $1000 followed by $700 and $300 for the second and third place submissions. It pays to be an ethical scholar at Emory! 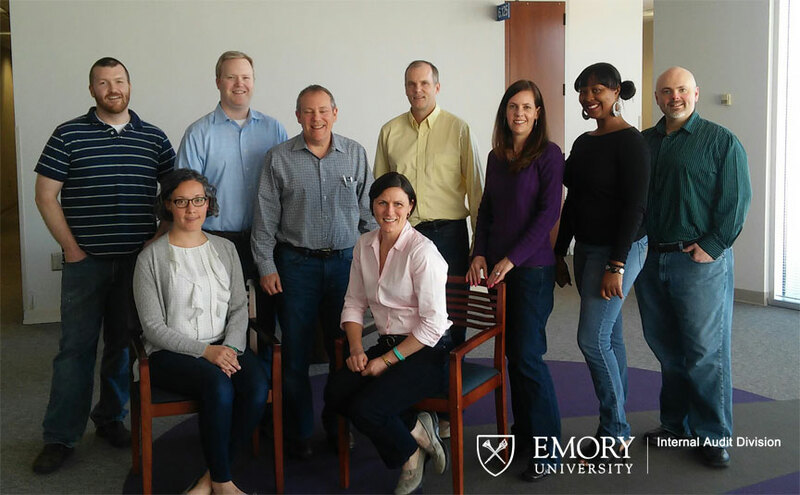 In September 2013, the Campus Services Division at Emory formally adopted a Mission, Vision, and Values (MVV) statement to define the operations of Campus Services and its employees. The MVV expresses a commitment beyond merely following applicable laws, regulations, and policies. It expresses Campus Services’ ethical commitment to “doing the right thing, the right way, for the right reasons.” Click here to see the MVV document. In addition, the "CS Select - Employee Recognition Program" rewards Campus Services employees who are nominated based on certain qualities or characteristics they exhibit in the workplace, one of which is ethics! These initiatives highlight Campus Services’ contribution to an ethically-engaged culture at Emory. The Trust Line Online is here! Emory’s Compliance & Ethics Program has launched a new online reporting tool for anyone wishing to report compliance or ethics concerns using the computer instead of the telephone. Go to www.mycompliancereport.com/EmoryTrustLineOnline. You can report anonymously and your IPA address will not be visible to Emory. This tool is provided by a third-party vendor. Reports are triaged daily by Emory’s compliance officers and handled confidentially. Questions about how it works? Contact Sarah Putney at sputney@emory.edu, John Lawley at jlawley@emory.edu, or Stephen Goddard at Stephen.goddard@emoryhealthcare.org. Scott Stevenson was appointed Interim Chief Audit Officer in August following the departure of Michael Bordoni, who served as Emory’s Chief Audit Officer for six years. Mr. Bordoni is now a partner in the advisory and consulting practice of Dixon Hughes Goodman LLP. The IAD team members appreciate Mike’s significant leadership contributions to Emory and our department and wish him all the best in his new role.